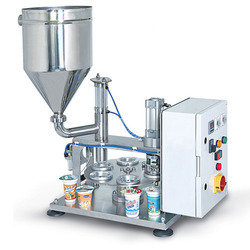 Offering you a complete choice of products which include automatic cup sealing machine, bubble tea cup sealing machine, semi ropp cap sealing machine, multi head ropp cap sealing machine, hand operated cup sealing machine and cup sealing machine. 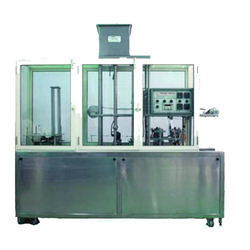 Providing Cup Sealing Machine Automatic that performs both cup filling and foil sealing function automatically and efficiently up to industrial standards. 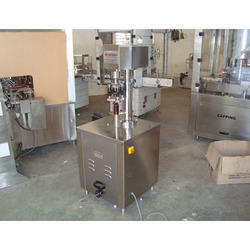 We are offering Automatic Cup Sealing Machine to our clients. 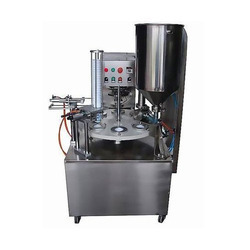 Providing Cup Sealing Machine Automatic that performs both cup filling and foil sealing function automatically and efficiently up to industrial standards. We are engaged in manufacturing Semi ROPP Cap Sealing Machines that are widely known for their robust industrial level performance. 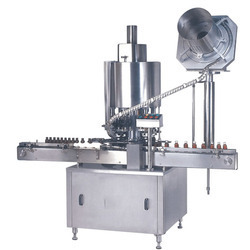 Our product range comprises of Multi-Head ROPP Cap Sealing Machine, engineered for robust performance. These machines are designed to perform at the industrial level. 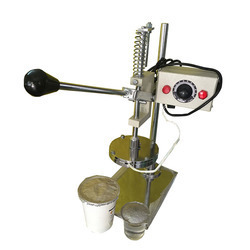 As per the set industry standards and norms, we manufacture, supply and export superior quality Hand Operated Cup Sealing Machine. 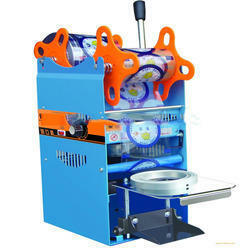 These machines are manufactured using superior quality raw material as per the international standards and norms. Moreover, the machines offered by us are available in various specifications that help in meeting the diverse requirements of our clients.